Healthy trees are a priceless asset for the environment and the residential and commercial properties in Bonney Lake, WA. However, the health of trees cannot simply be left to nature. 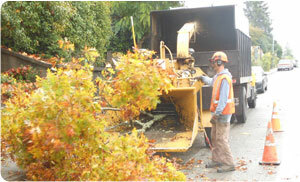 Property owners must get tree care services of a certified arborist to keep their trees flourishing. A certified arborist is a qualified professional who has studied all about the cultivation and care of trees of different species. Our fully licensed, family owned and operated tree care company has been providing the services of a certified arborist in the Bonney Lake area since 1986. When the people here need a knowledgeable, experienced and affordable local certified arborist, we are the one they should call! The passion of our ISA certified arborist for tree care enables us to deliver the highest level of services for trees and on Bonney Lake properties. Our certified arborist truly understands trees and depends not just on knowledge, but on first-hand experience to offer the precise tree care different trees need. 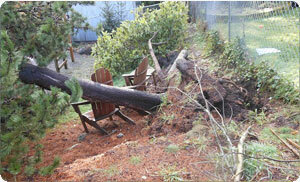 Why Choose Us for Tree Care Services in Bonney Lake? We have always strived to build lasting relationships with Bonney Lake residents based on honest and dependable tree care services. The amazing referrals and repeat business we get reassures us that we are doing things right! 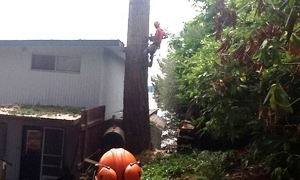 Let the certified arborist at Hunter’s Tree Service handle all your tree care needs in Bonney Lake. Call (253) 777-1938.